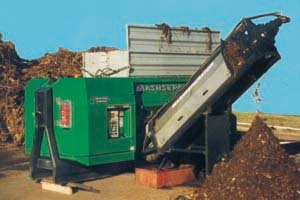 The MASHSEPARATOR is equipped with an overload savety device, with protects the compacting units. Homogenization of wet bio-waste, food scraps, commercial kitchen waste etc. in robust hopper utilising 2-4 augers. Material discharge by auger press with separation into a solid and liquid fraction. 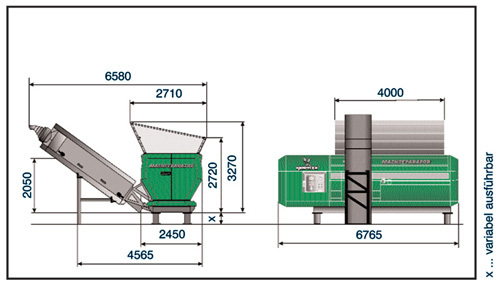 High throughput capacity of up to 24 t/h due to use of duplex augers. Auger press unaffected by contaminants and highly resistant to wear. Optimum pressing results due to different screening basket variations. Long service life due to wear-resistant tools and container with replaceable bottom plates as well as automatic overload protection of the press units. Variable solid/liquid ratio due to adjustable auger speed.